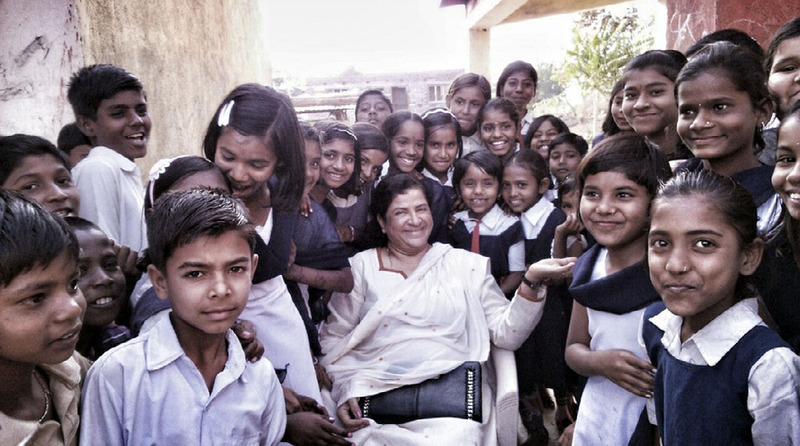 Pictured here is the leader of this charity, Raziya Shroff, surrounded by kids of the village. 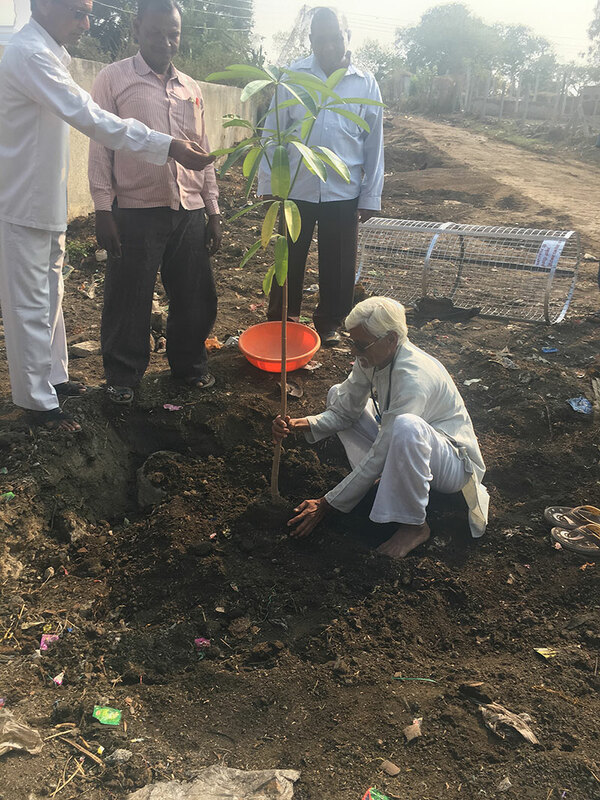 Our mission is to establish healthy living and the groundwork for a successful life in a rural village in India, named Saoli Sadoba. We do this through four different initiatives. 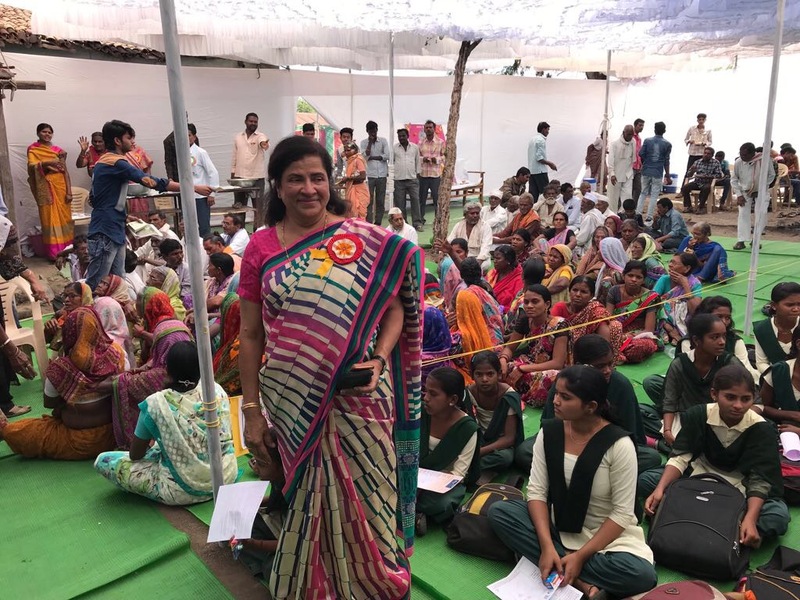 Our 1-Day Health Camp, held in a large tent. 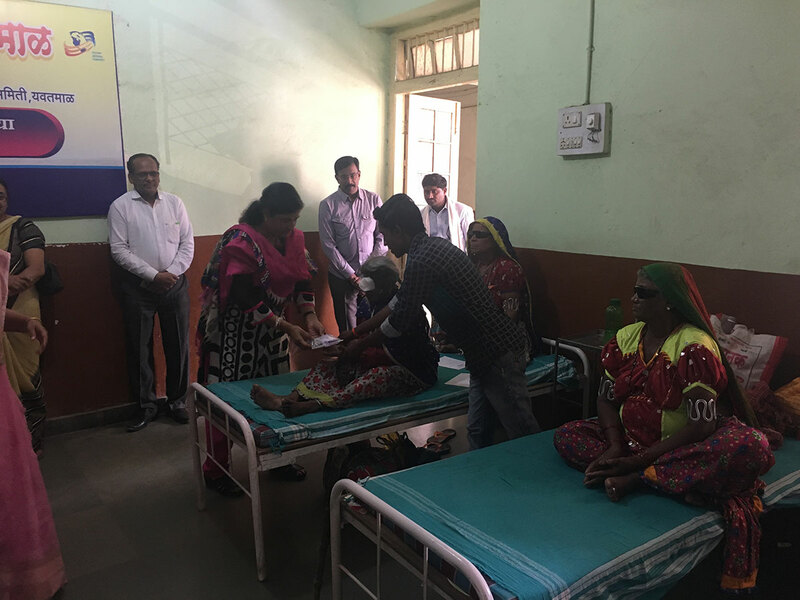 We work with a hospital in a nearby village to schedule groups of cataract surgeries and then provide transportation, food, and medications for the villagers who attended need the surgery. Each year we bring experts into the schools to provide a week of special career and life skills education to the high school students. Our programming is designed to help break the cycle of poverty. Each year we plant around 50 trees and provide guards for each to protect them from animals. We also set up a watering service. This provides shade, helps with global climate change, and beautifies the village. 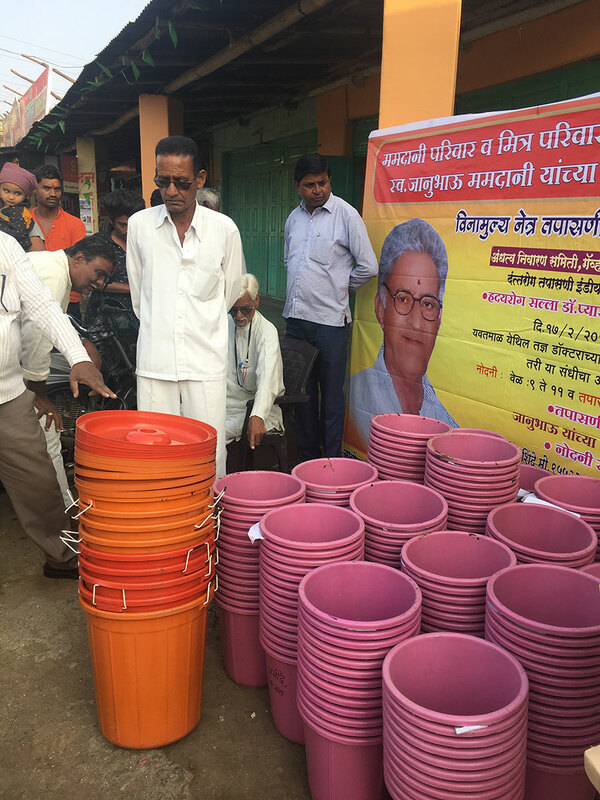 We provided garbage bins to all of the local businesses and set up a pick-up service. We’re working with the local businesses to have them pay an annual fee for the service so that it’s a sustainable program. Distributing garbage bins to businesses. There was a kind and generous man living in this rural village in India who cared deeply for people. He dedicated his life to being of service. Janmohmed Mamdani passed away on February 14, 2013. To honor him and his mission to help others, his siblings started this charity. It started with a 1-day health camp which was held one year after his passing, in February of 2014. 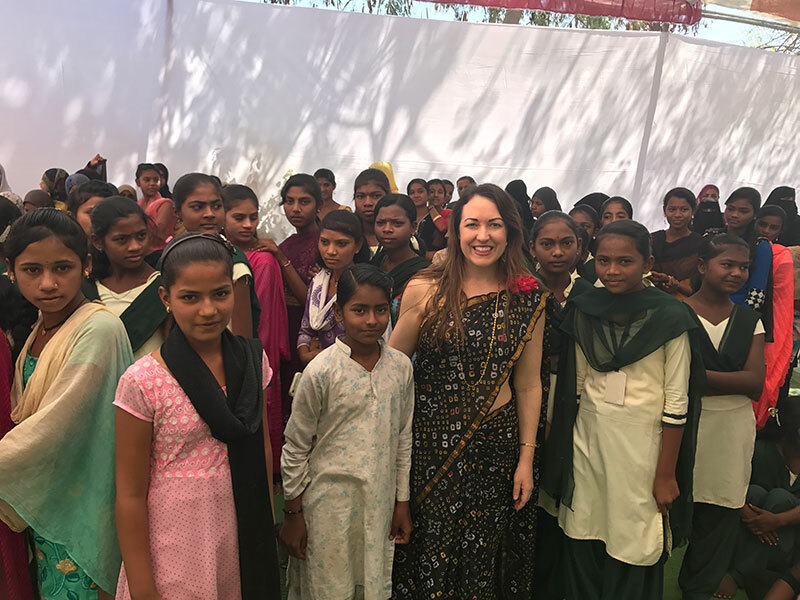 Family members throughout the US and India donated money to make the first health camp possible. Each year we’ve been expanding the program to establish healthy living and the groundwork for a successful life to this part of India.